On January 17, 1968 the first professional wrestling card of 1968 was held at the Honolulu International Center featuring a United States title defense and an exceptionally strong under card to go with the title match. In the opening match, Dean Higuchi drew with Harry Fujiwara. In the other preliminary matches, Kenji Shibuya and Larry Williams wrestled to a draw, while Bearcat Wright used a reversed press to defeat Dutch Schultz. 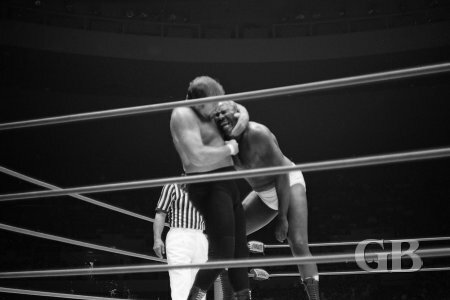 Larry Williams upends Kenji Shibuya. Dutch Schultz slips his headlock on Bearcat Wright into a choke hold. The tag team match between The Missing Link and Neff Maiava vs. Freddie Blassie and Ripper Collins ended in a draw. 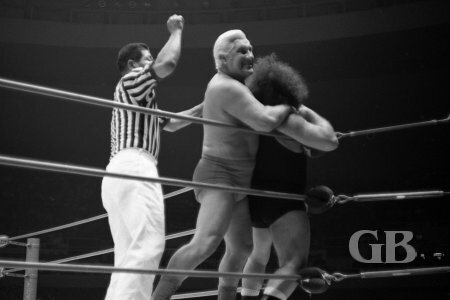 Fred Blassie tries to hide his choke hold on the Missing Link from the referee. The Link has his bear hug on Fred Blassie as Ripper Collins rushes to Blassie's aid. The Missing Link stomps on the hands of Ripper Collins after having backed up both opponents into the corner. The Link threatens to hit Collins with a foreign object as referee Wally Tsutsumi tries to quell the situation. 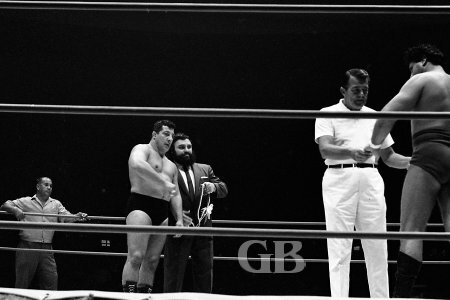 In the match for the World Tag Team Championship, Pepper Gomez and Pedro Morales retained their titles by going to a draw with Killer Kowalski and Angelo Poffo. Pedro Morales comes off the top ropes onto a horrified Angelo Poffo. Killer Kowalski stomps away at Pedro Morales from inside the ring while Angelo Poffo works on Morales from the outside. 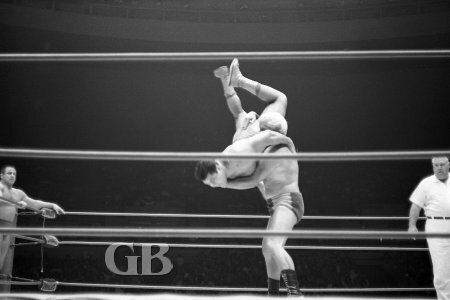 Pepper Gomez executes a back body drop on the 6foot 7inch Killer Kowalski. Angelo Poffo about to body slam Pedro Morales. 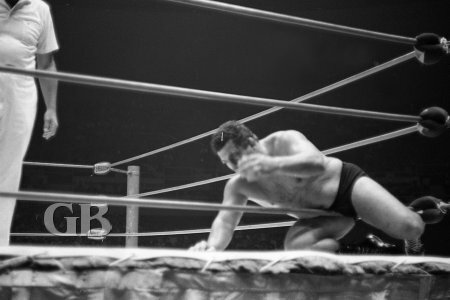 Killer Kowalski is stunned a little after Pedro Morales delivered a judo chop to the chest. The main event featured United States heavyweight champion Handsome Johnny Barend putting his title on the line against his former tag team partner Jim Hady. Back on December 25, 1967, immediately after Barend won the title from Curtis Iaukea, Hady, who was Barend's co-holder of the Hawaiian tag team titles at the time, went into the ring to congratulate Barend for winning the title. When he went to shake Barend's hand, Barend refused to shake his hand and pushed Hady to the ground. The ill feelings between the two resulted in this match. The match was two out of three falls to a one hour time limit. Hady took the first fall in the match and the two wrestlers used up the full hour time limit. However, since this title match is for two out of three falls, Hady did not lift Barend's title because he failed to win a second fall. Pampero Firpo holds some fan's leis while acting as Jim Hady's second. Jim Hady tries to talk some sense to a stunned Johnny Barend. Johnny Barend regains the upper hand on Jim Hady. Jim Hady pounds away at Barend. A battered Jim Hady just barely makes it back into the ring. Referee Pete Peterson goes to break things up as Johnny Barend holds onto the ropes.